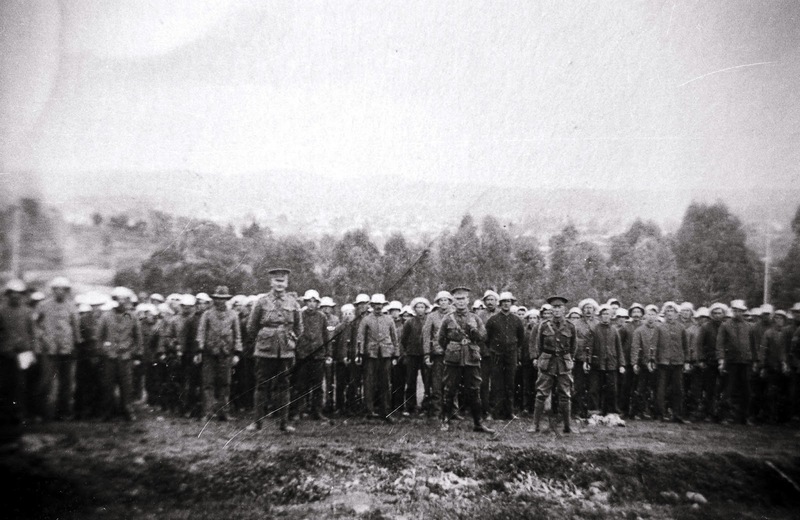 Following heavy casualties suffered by the Anzacs on the Gallipoli Peninsula, numerous recruiting marches were conducted in NSW and Queensland from late 1915 to early 1916 to raise enthusiasm and volunteer numbers for the AIF. The Waratahs South Coast march, which left Nowra with 49 men on 30 November, was met with a hearty reception, despite heavy downpours and strong southerly gales, when the new recruits, now 114 strong, arrived at Sutherland 15 days later. The streets were decorated and Sutherland Shire Council arranged a reception tea in Boyle’s Hall during which rousing speeches were delivered and three local men volunteered. Like those pictured, the Waratahs trained at Liverpool camp before most, as reinforcements to the 1st Battalion, left Australia between March and June 1916 to fight on the bloody Pozieres battlefields. In 2015 their service was remembered when re-enactors marched in the footsteps of the original Waratahs.